I usually write about edible plants and how to protect them from destructive insects but today’s post contains a gallery of plants that can care for themselves as they go out of their way to make things comfortable and inviting for the hordes of insects that they prey upon. 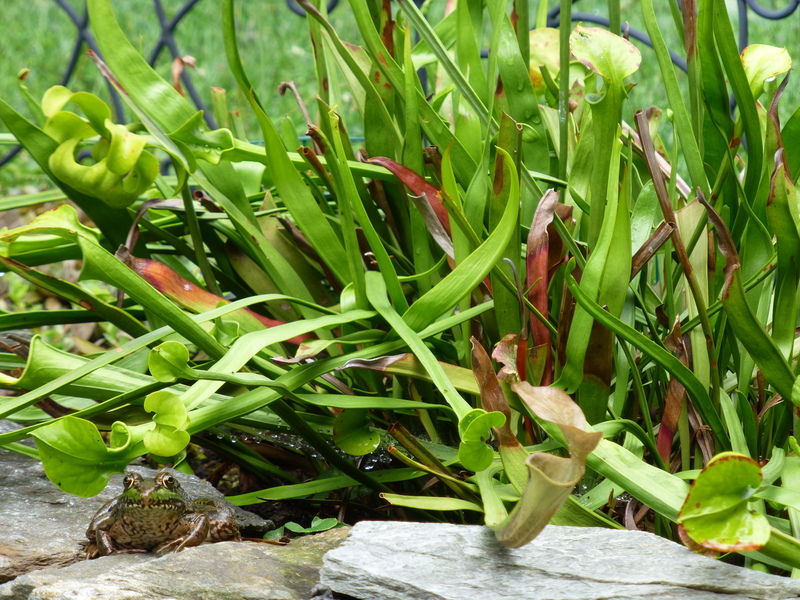 My bog garden sits right next to a small backyard pond and provides the perfect environment for a mix of carnivorous and exotic plants that thrive in acidic soils, with wet feet, and low nutrient conditions. The bog area is easy to maintain and makes for an interesting addition to the landscape. Best of all, these plants feed themselves, and every plant in my bog garden has proven winter hardy in the Central Pennsylvania climate. 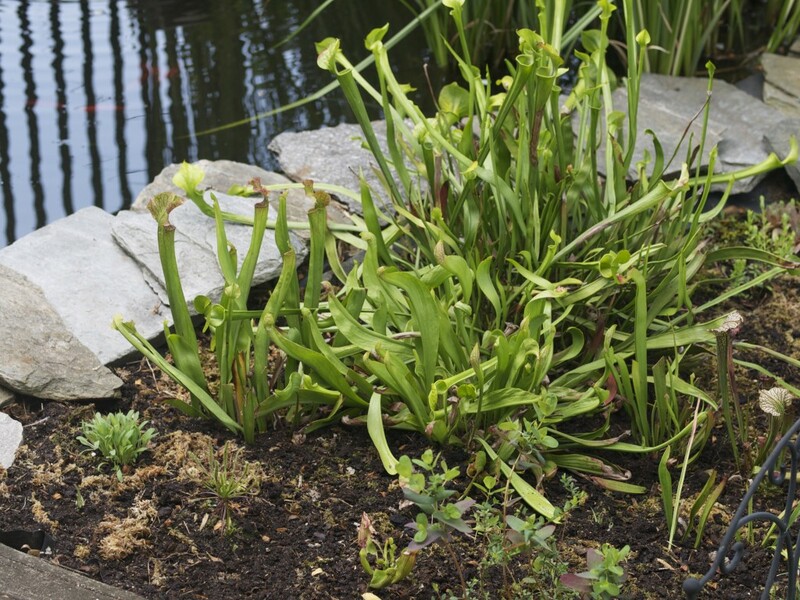 Creating a bog garden for carnivorous plants is simple enough; dig a hole two feet deep and as wide as you’d like and then set a sheet of pond liner material inside. The liner should be perforated or slit to retain moisture but allow for slow drainage. Then simply fill the new bog garden area with peat moss and sand to create a light and acidic soil mixture. From there it’s just a matter of planting your bog plants and providing some rather routine care; keeping the area weeded, watering with distilled or rain water as needed, and pruning to manage the growth and remove dead leaves. Following are pictures from my bog garden that were taken this summer. 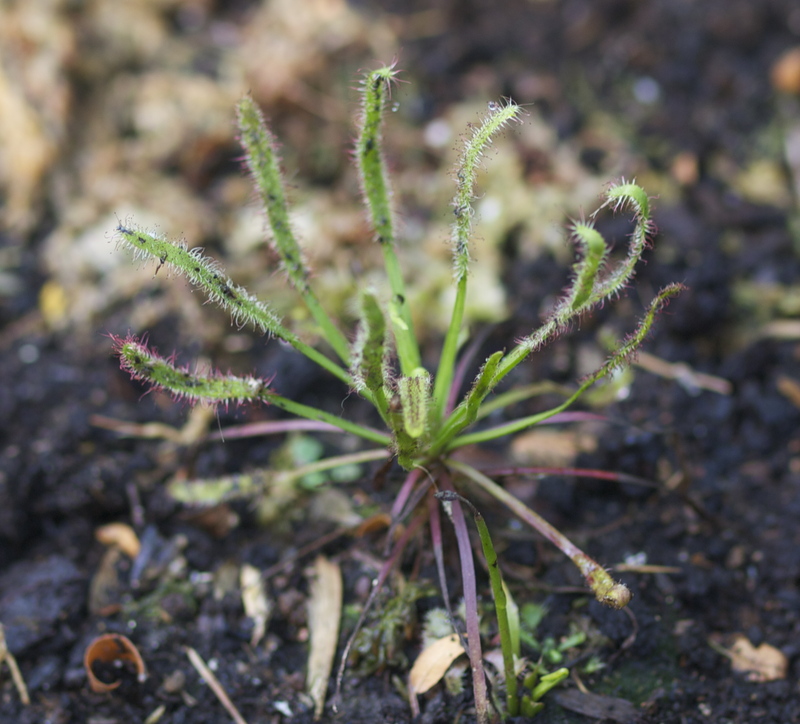 Many of my bog plants are of the carnivorous variety and the Venus Flytrap is one of those that most people are familiar with. There are different strains of flytraps including unique types that are reddish colored or that sport enormous traps for catching insects. 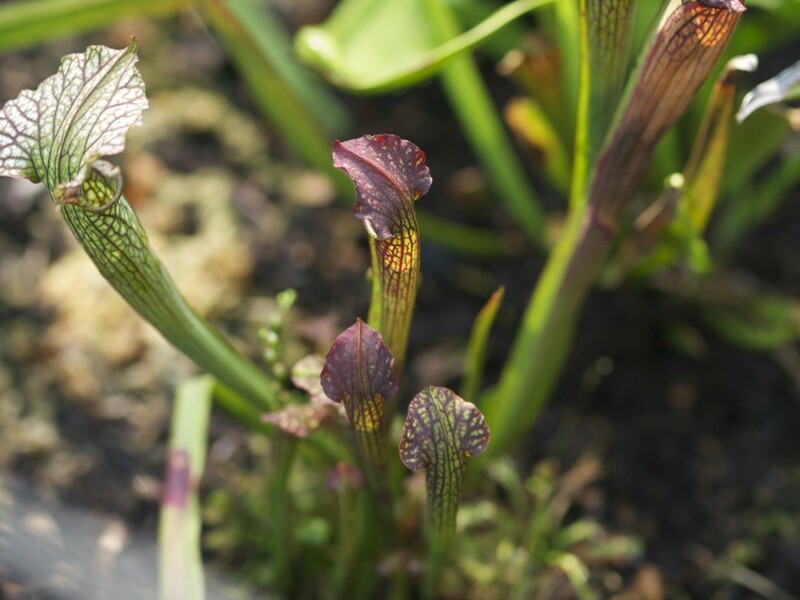 Pitcher Plants are among the most ornamental bog plants with their tall pitchers that come in an assortment of colors. Any insects unfortunate enough to venture down inside the pitchers become plant food and will never be seen again! Sundews are pretty interesting unless you happen to be an insect trapped on one of the sticky spines that cover the plant’s leaves. These carnivorous plants come in a range of sizes and leaf shapes with red fringes and nectar like droplets that enhance their beauty and help to attract and capture prey. It isn’t all “plant-eat-bug” in the bog garden, as there are a few edible or medicinal plants found there as well. Here is a cranberry plant that is very content to grow alongside its killer neighbors as it produces those tart red berries for the backyard gardener. 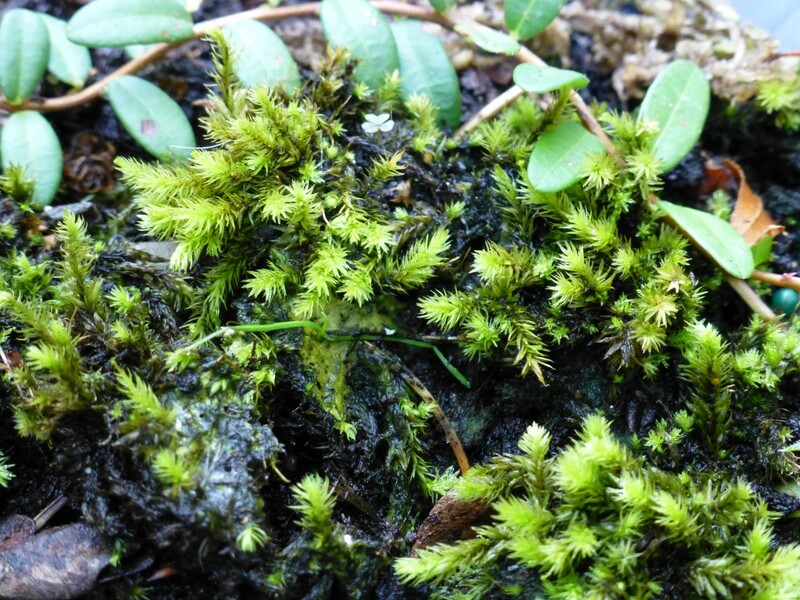 An assortment of mosses including sphagnum thrive in the conditions of a bog garden. They also have beneficial uses ranging from providing an air layering material for plant propagation, to serving as primitive emergency bandages for cuts and scrapes. 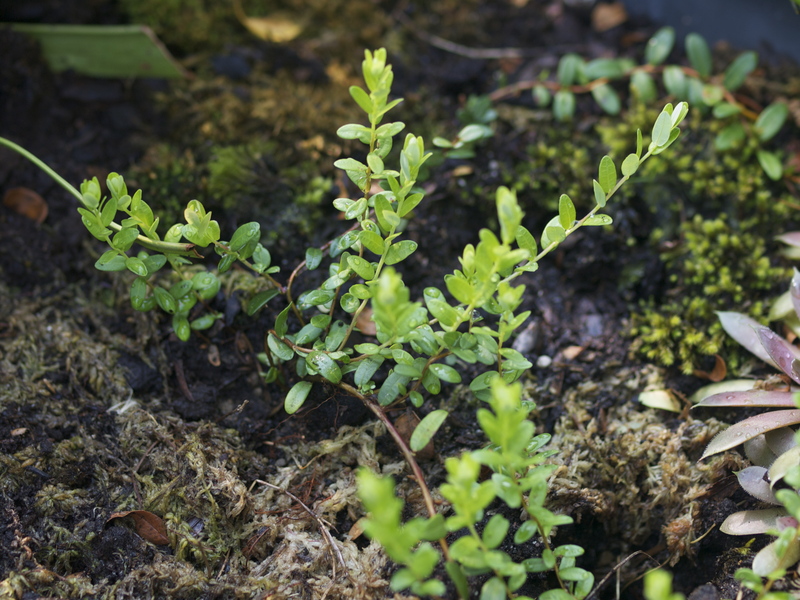 Other plants that are great candidates for a bog garden include Butterworts, Orchids, and Bladderworts. Above is a view of the flight zone for an incoming insect looking for a place to rest, catch some shade, and get a quick drink. Pity the unsuspecting fly who ventures into this backyard jungle full of hungry plants, frogs, spiders, and other creatures. 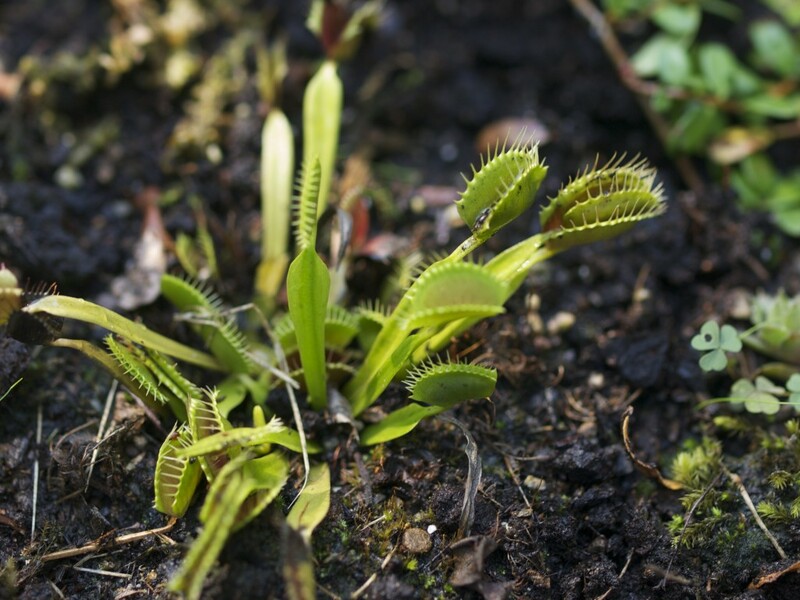 So if you’re looking for a cool backyard project and want to add something different to your landscape, considering creating a bog garden and stocking it with an assortment of carnivorous plants. It will add interest to the yard and prove to be a deadly place for insects to hang out! That’s a pitcher plant FOREST. Amazing. Deadly too. And your frog is one of the handsomest frogs I’ve seen in a long time. I really like this project, now I’m dreaming of one myself. Thanks so much for this post-it’s a lot prettier than I imagined. That’s an amazingly sweet bog garden. I’d really like to grow one myself, but its a bit harder in LA; the summers can get really dry. On a similar note, for the non-bog gardens out there, there are many companion plants to choose from that could naturally deter a bunch of unwanted pests. I hope you enjoy it. Lemme know if you there’s anything that I might’ve missed. Take care and have a great weekend! Bugs really could be irritating at times but we have to admit that it has their own advantage in our garden.Thanks for sharing this article. What a good idea… come to think of it, it would be great to offer a portable-carnivorous bog product that people can place within their gardens. Another idea that I’m working on is using electricity (i.e. electroculture) to stimulate plants into boosting their natural abilities for repelling harmful insects or attracting predatory insects.